MANILA--It’s that time of the year where 24 of the brightest NBA stars converge in one arena and put on a show for fans all over the world. 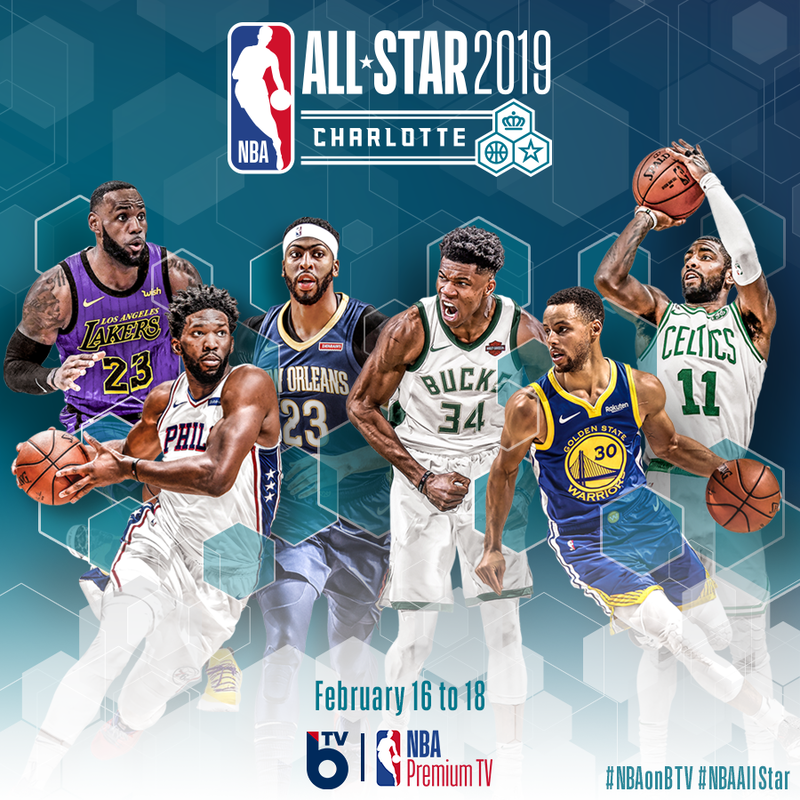 The mid-season classic of the NBA, the 2019 All Star Weekend, will be held in Charlotte this Feb. 16-18 (Manila Time), and Solar Entertainment – Basketball TV and NBA Premium TV – guarantees that you never miss the action. The first event will be the Mountain Dew Rising Stars where top NBA rookies & sophomores are divided into Team USA & Team World take the centerstage on Feb. 16 live at 10 a.m. Team USA will be represented by Rookies Trae Young and Marvin Bagley III team up with 2nd year players Donovan Mitchell and Jayson Tatum and face Team World with super rookie Luka Doncic from Slovenia teaming up with last year’s Rookie of the Year Ben Simmons (Australia) and 2018 number one pick DeAndre Ayton (Bahamas). The second day of the weekend, the State Farm All Star Saturday Night will highlight the highly skilled players of the NBA thru different side activities like the Skills Challenge, 3-Point shootout and the most awaited event – the Dunk Contest. NBA stars that have confirmed participation for the side events include two-time NBA MVP Steph Curry and brother Seth (3 Point Shootout), second year players Kyle Kuzma and Jayson Tatum (Skills Challenge) and young players Dennis Smith and John Collins (Dunk Contest). Never miss out on all the side activities of the 2019 NBA All Star on Feb. 17, live at 9 a.m.
Then it's Team Lebron versus Team Giannis. The 2019 NBA All Star Game pits 24 of the best performing players of the first half of the season. The team rosters will be unpredictable for the second straight year as the two captains once again drafted the players who will be their teammates during the All Star Game. Catch the 2019 NBA All Star Game live at 9 a.m. on Feb. 18. For those who want to experience the 2019 NBA All Star Weekend Live, fans can troop down to the “BTV All Star Festival 2019” on February 17 at Eastwood Central Plaza. Fans will be treated to a day of live NBA events plus different basketball activities that will bring the All-Star experience closer to you! Admission to the event is free and you also get a chance to win exclusive merchandise from NBA partners.